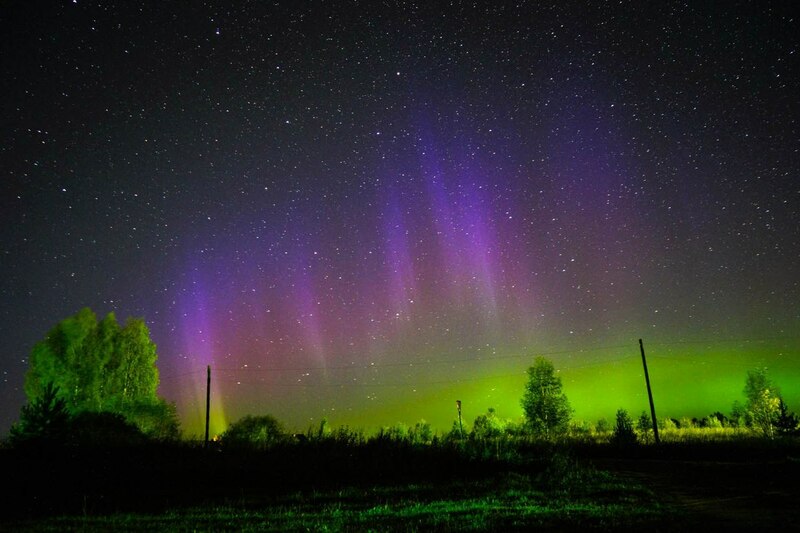 The G2 geomagnetic storm on September 16, 2017, was so powerful that even blue and purple colors appeared ontop of green. 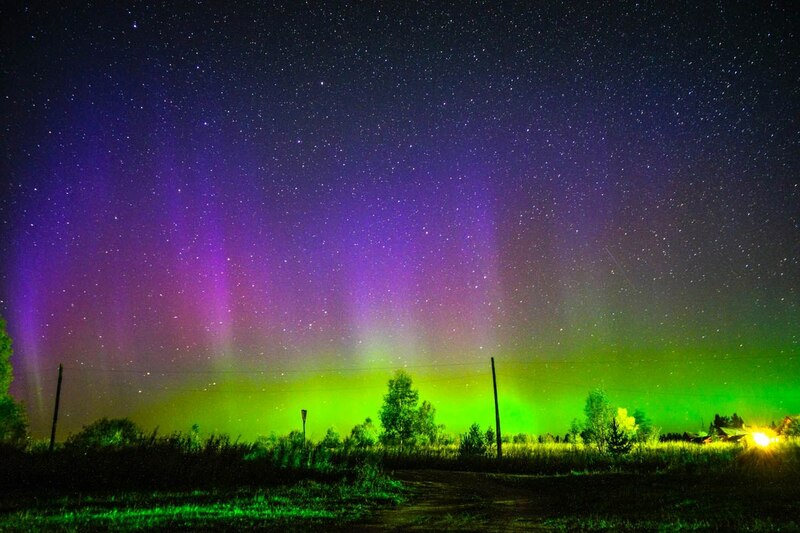 The majority of auroral displays are predominantly green because the human eye detects green more readily than other colours. 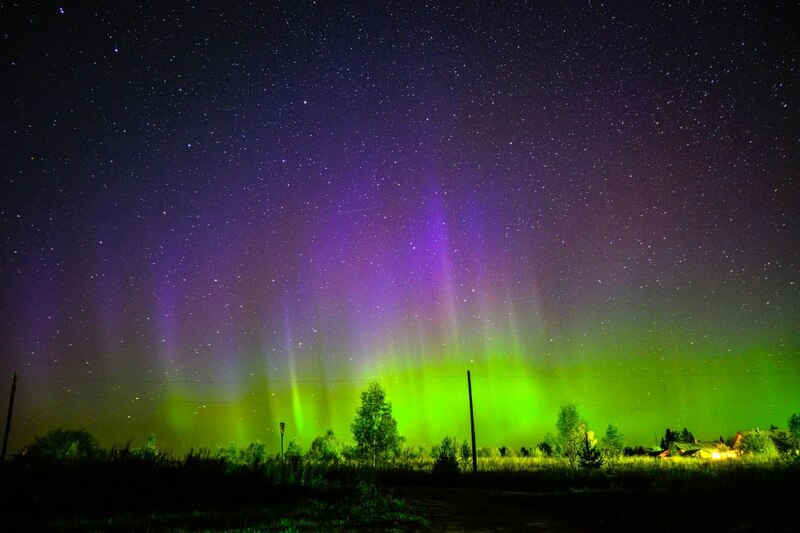 The main factor in determining the colours of any given northern lights is altitude, because different gases prevail (or are spayed) at different altitudes and in varying concentrations. 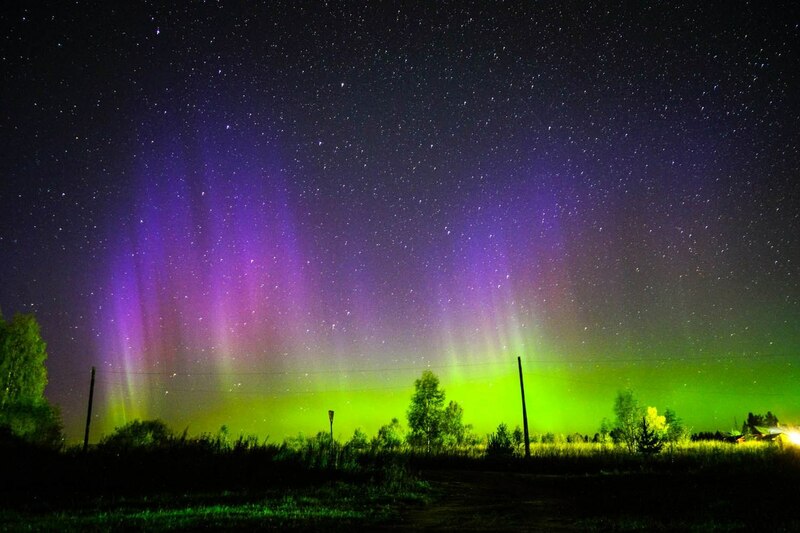 It is the collision which “excites” these gases that determines the colour of the Aurora. 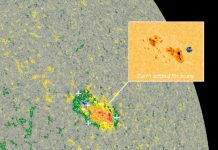 We don’t see red in the Aurora Borealis too frequently and the colour tends to be associated with intense solar activity. 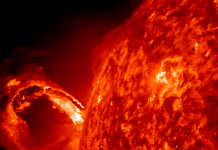 Reds appear when solar particles react with Oxygen at higher altitudes, generally above 150 miles. 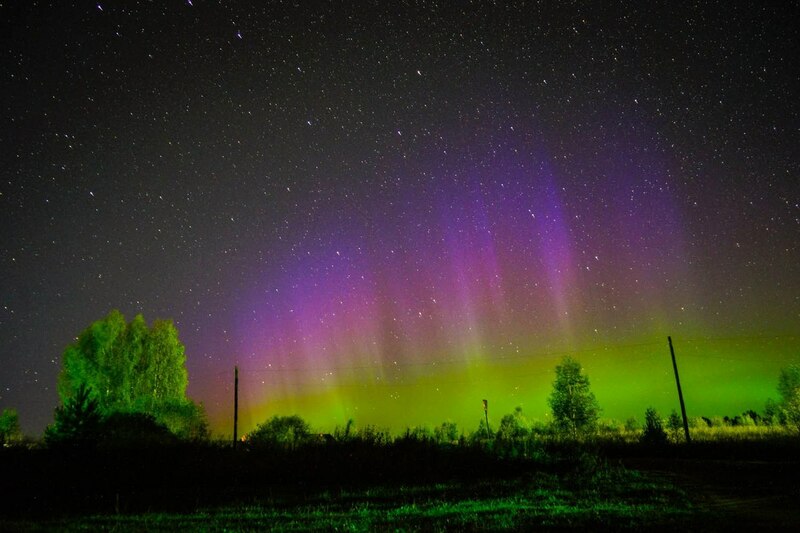 When red mixes with green or blue, you can see yellow and pink in an northern lights display associated with high solar activity. 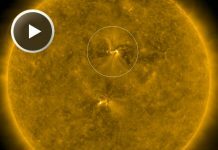 Most solar particles typically collide with our atmosphere at an altitude of around 60 to 150 miles where there are high concentrations of oxygen. 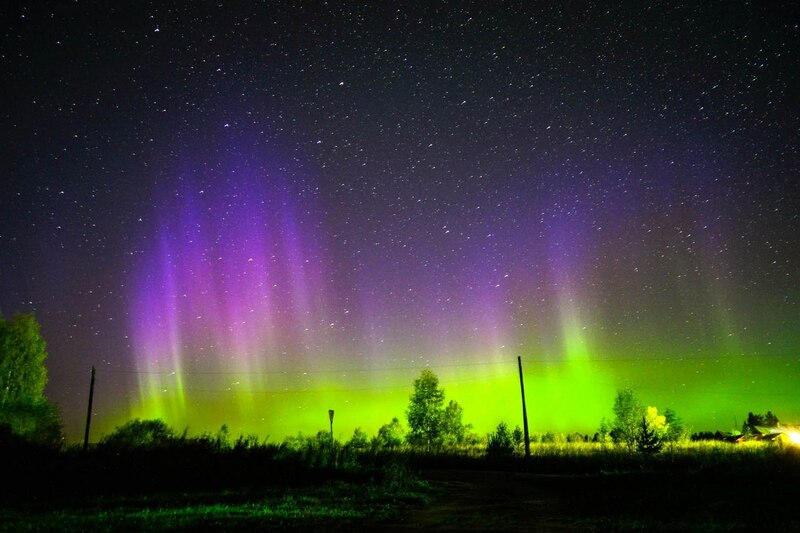 When the Oxygen is “excited” at these altitudes it causes the Aurora to appear in shades of green. Finally, blue and purple are also colours which are seen less frequently, because they only tend to appear when solar activity is high. 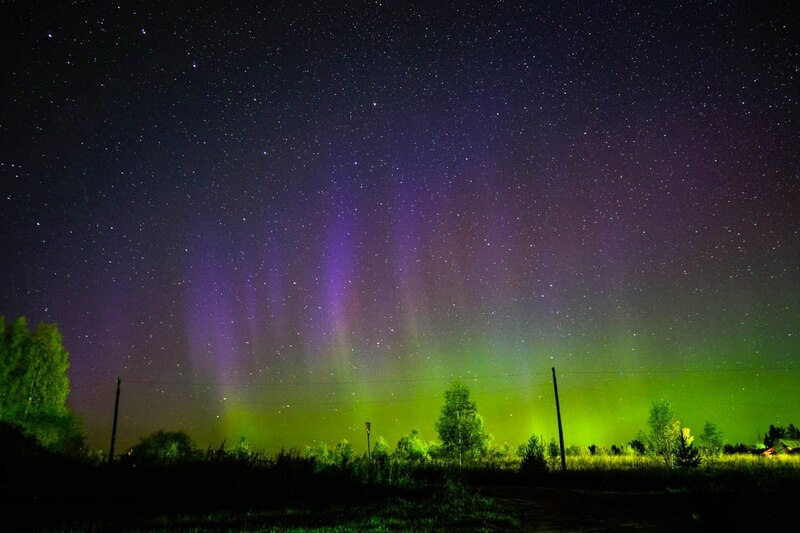 Purple or blue auroras are produced by nitrogen colliding with our atmosphere at altitudes of 60 miles or less. Most commonly, blue and purple appear in the lower parts of the display, which is not the case in these pictures.